Well hello there.....I'm here to tell you this fine Wednesday that sometimes procrastination can pay off. 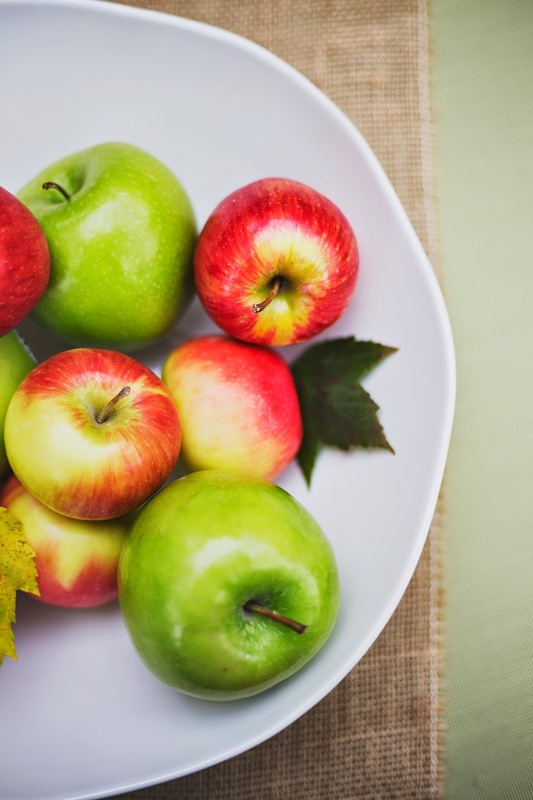 You see, I've had this post ready since last fall but just never got around to posting it. 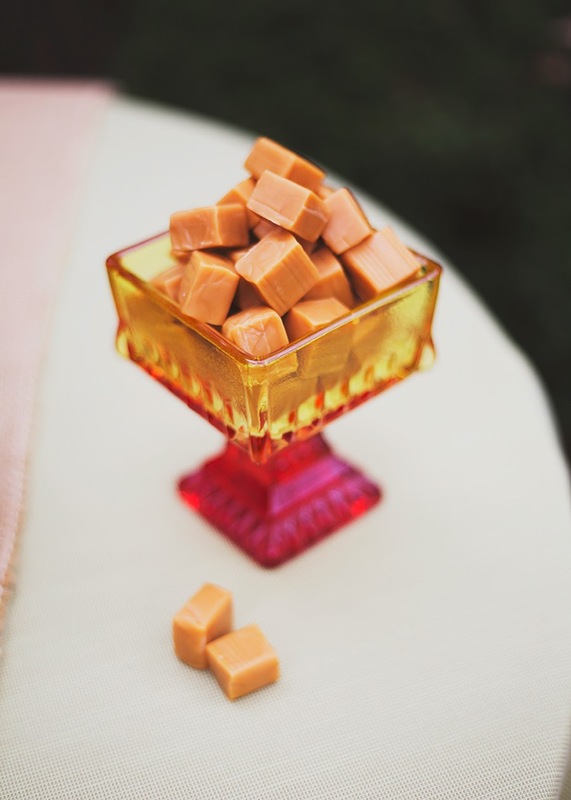 So I waited an entire year and boom...I have a brand new post for you, and I think it was worth the wait! 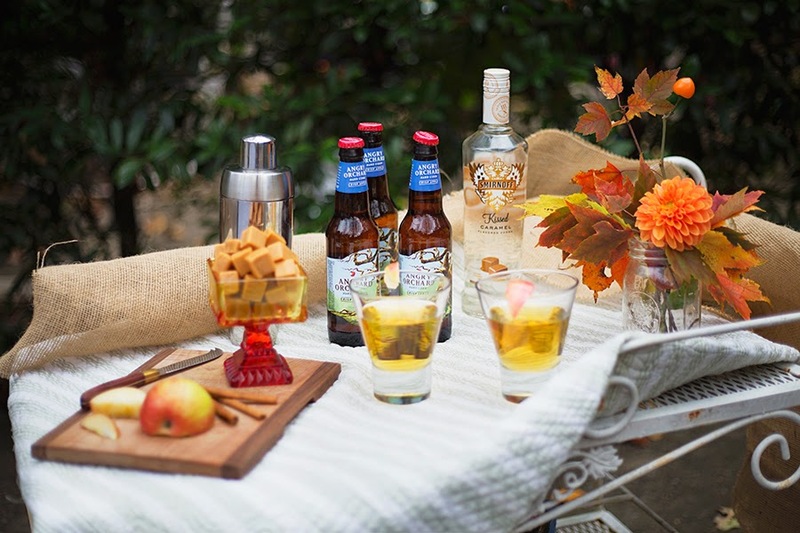 Angry Orchard Apple Cider and Smirnoff Caramel Vodka. 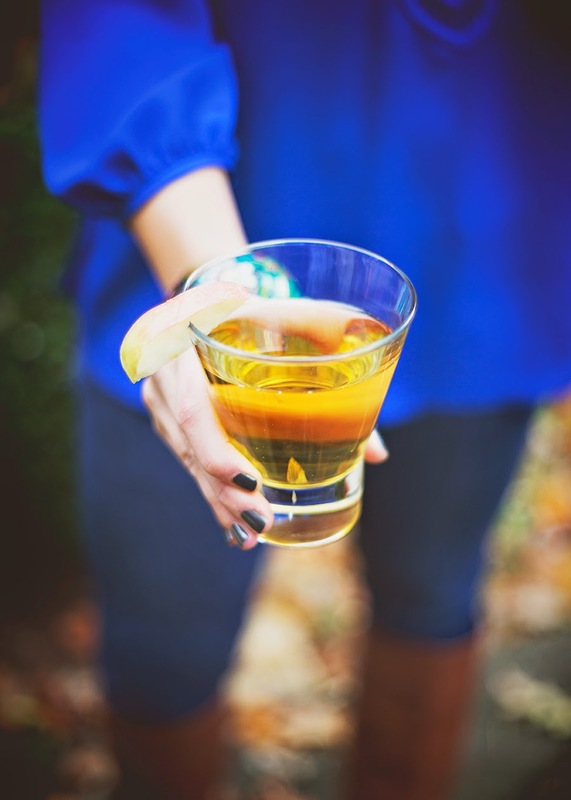 Whipping up this cocktail is beyond simple. 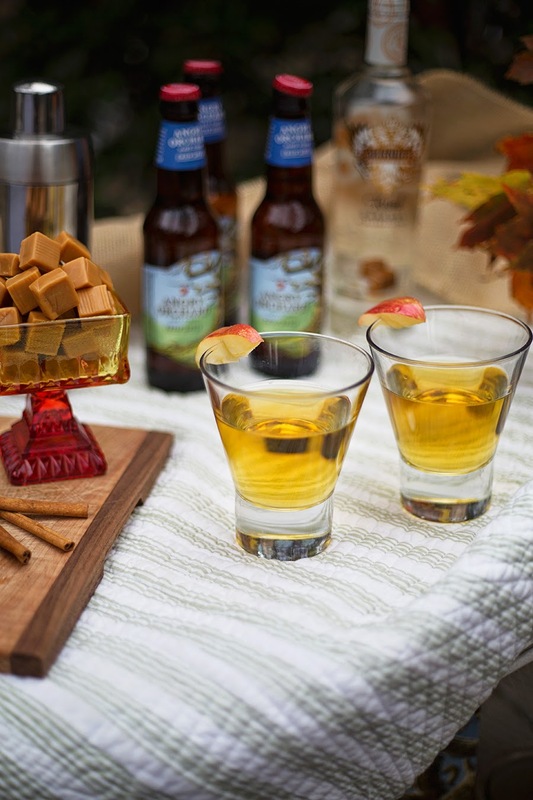 Fill your cocktail glass with delicious, Angry Orchard apple cider and top it off with a splash (or more) of Smirnoff's Caramel Vodka. 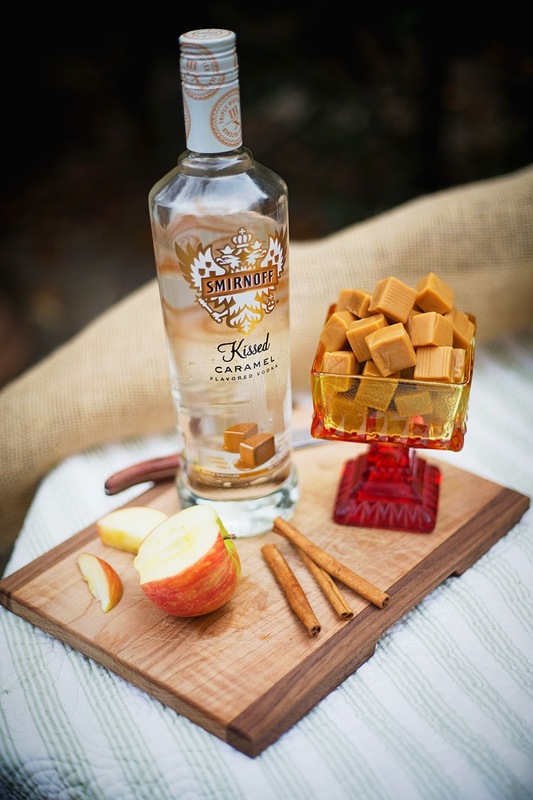 Stir, garnish with an apple and you've got yourself a Caramel Apple in a glass! Now for the prettinees. 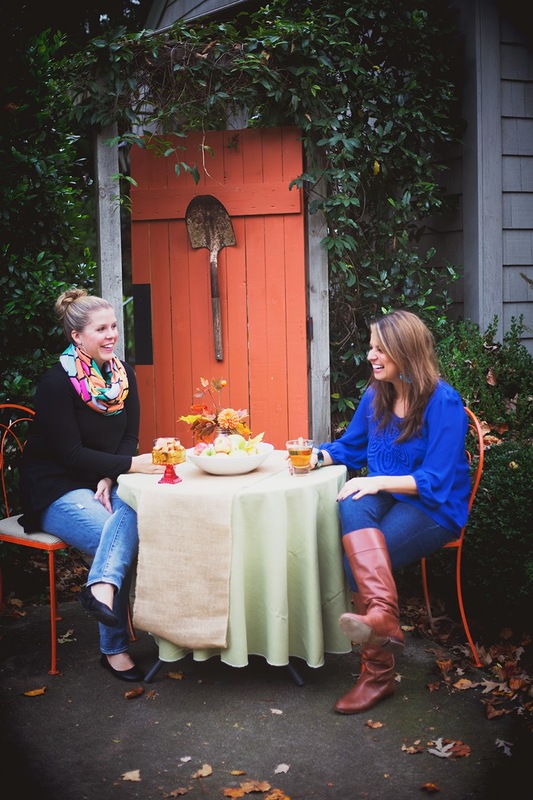 We were able to shoot this at Kristen's neightbors house in his beautiful outdoor courtyard. 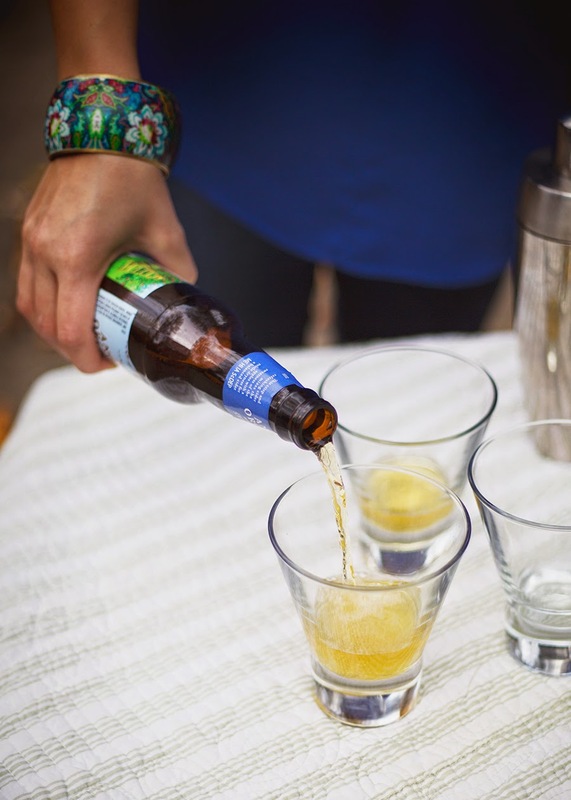 We also enlisted the help of my adorable friend Hillary so I wouldn't be drinking alone. 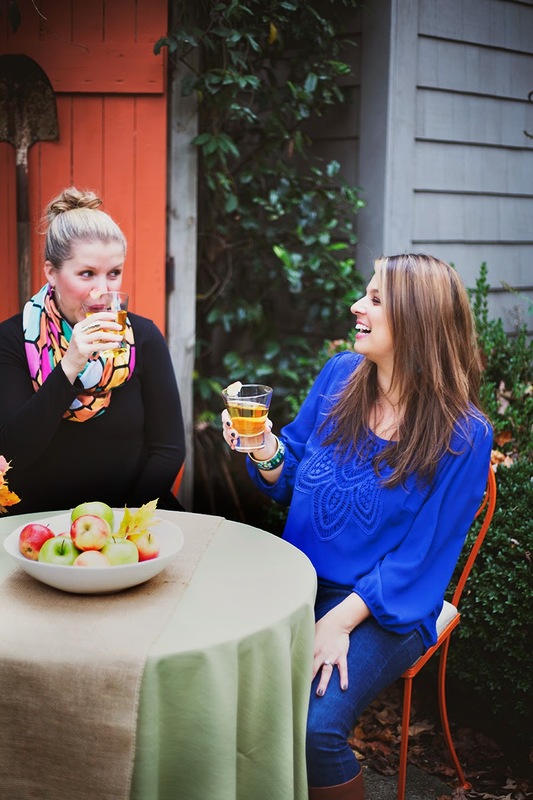 Making it look natural while laughing (even with your best friend) can be difficult when you know someone is taking your photo. Hence the semi-awkard photo below. 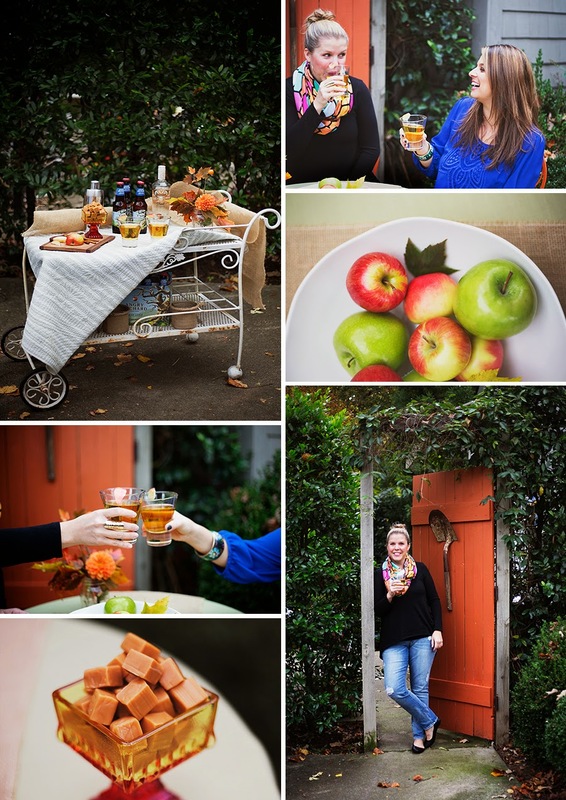 I love the pops of orange color in this shoot. 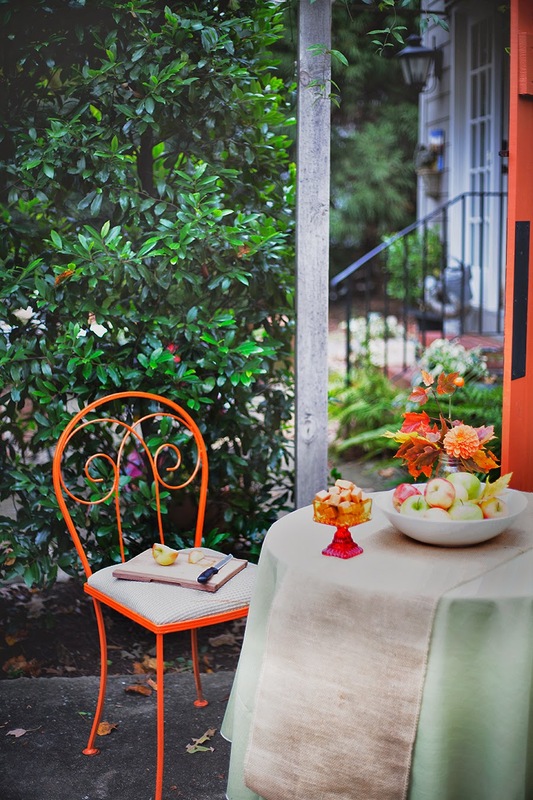 How perfect is this orange door with a shovel hanging on the back? 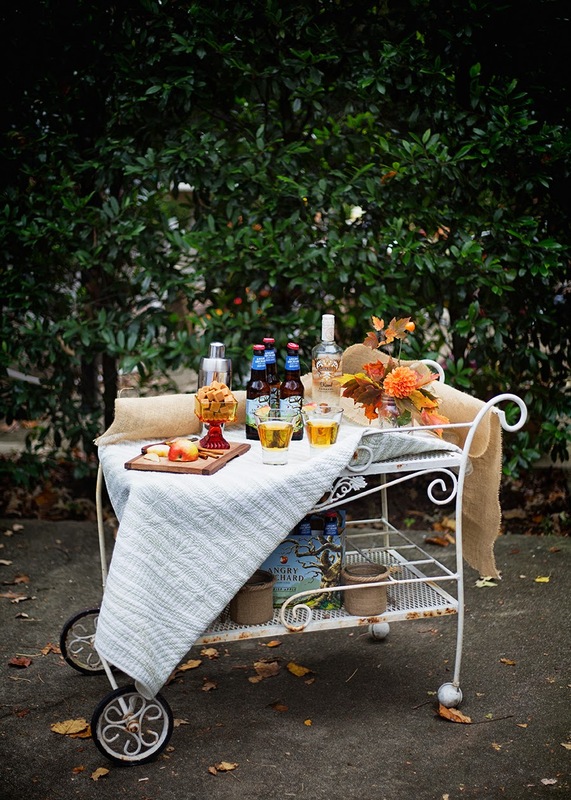 We styled a rusty old bar cart for the shoot. 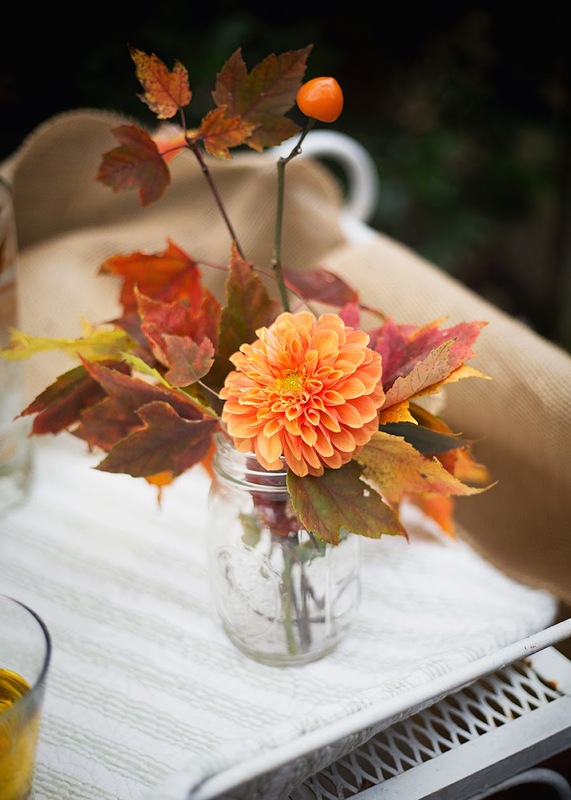 I loved this mini arrangement we did, the leaves came from the ground and were perfect! 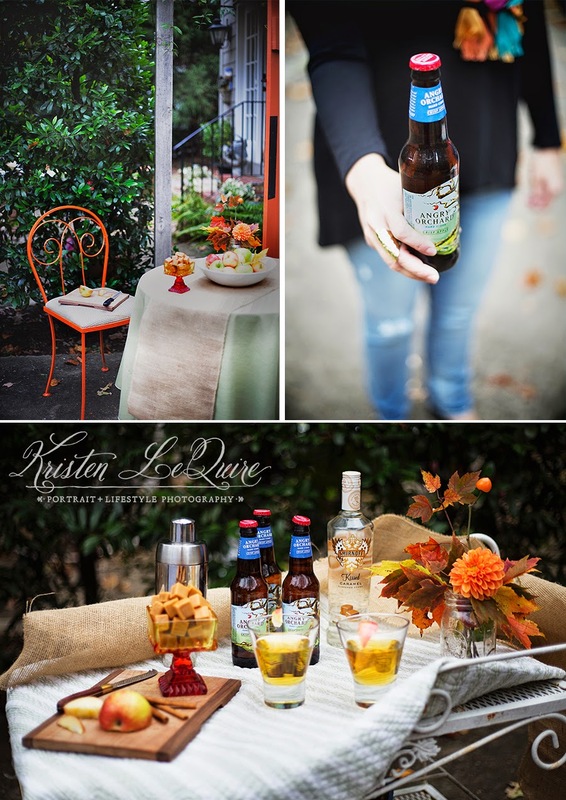 I loved these vignettes Kristen put together from our fun shoot. 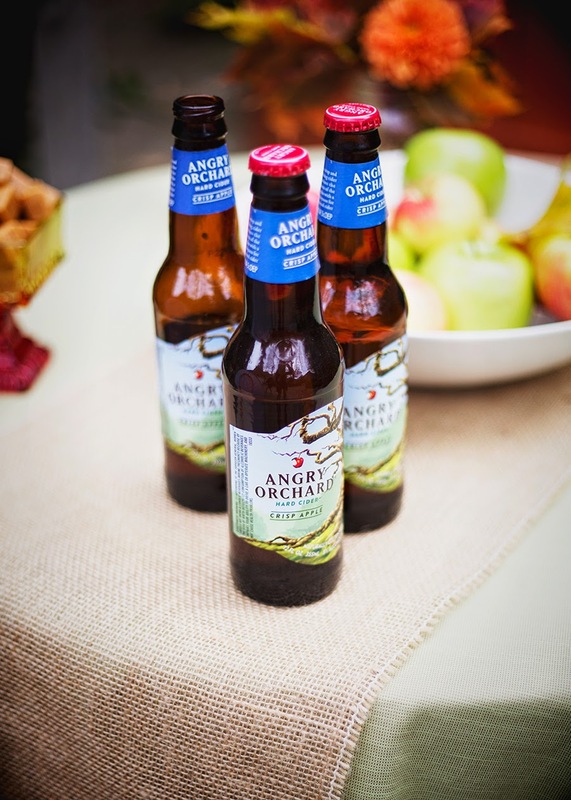 If you're not into a super sweet cocktail, just sip on an Angry Orchard instead. 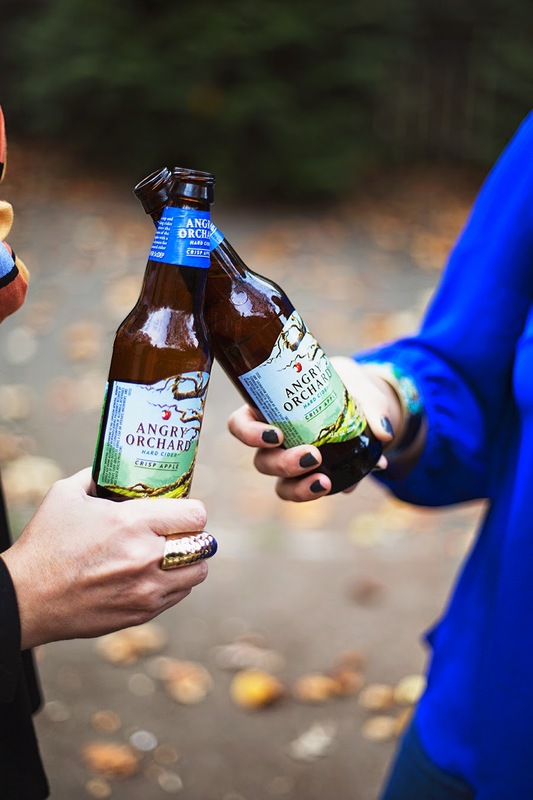 It's a sparkly, dry cider that is perfect for watching football and celebrating fall!